Remember when you could get a burger for 50 cents.. Remember cooking burgers on high and dampening them down then lifting the lid too fast. You know, then all your arm hair is gone. Yes, that would be the one I mean. Lookin good, how many did the pup get?? Great looking dog, thanks for posting the pics they look great. Remeber flash back I always try to be careful but I know someday when I am in a hurry it might happen glad you are okay. I remember all of those flashbacks... :laugh: . 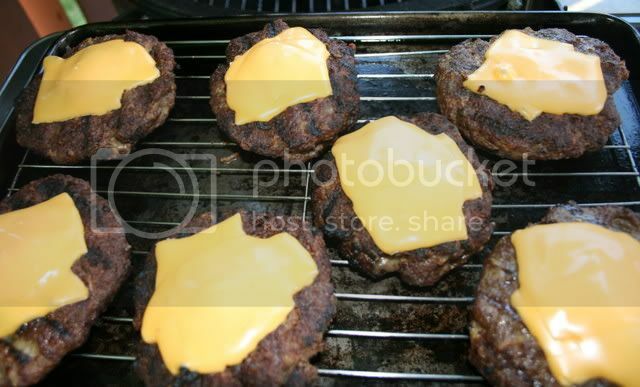 Great looking burgers! Worse for me however is the hair, eyelash and eyebrow vaporization which I have suffered in the past. There is nothing like having a house full of gueats mocking your singed appearance which you obtained trying to create an eggcellent dining experience for them! Perhaps a welder's mask is in order?? Arm hair is OVERRATED!Yummee lookin burgers. I have tried the flashback, didnt like it, I need to try some of those stuffed burgers, they look pretty tasty!! Glad those pics didn't include the hairless arm! 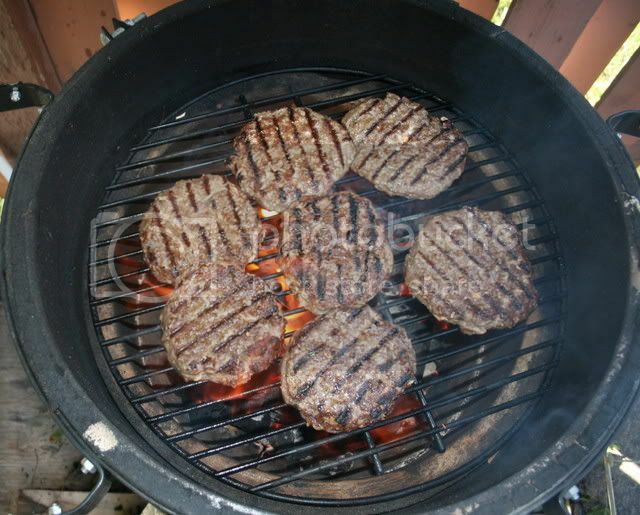 I've taken to doing burgers on a raised grid to reduce the flames. You can get away with extra lean beef on the egg too. I think that will be my next investment. Kinda waiting for NiEggara to see the different set ups. Does Amazon sell arm wigs?